When I first tried Earthwise Beauty’s Nap In The Meadow, I liked it, but it didn’t immediately blow me away. However, the more I used it the more I loved it. It visibly makes a difference to the tone, texture and clarity of my skin when I use it regularly, and it has become one of my favourite hydrating serums (no easy feat considering I currently have about 30 serums on rotation!). Carrot-a-Day was love at first sight (or should I say, use? ), and I still adore it. Others like Ruby Facial Oil and Blackstrap Molasses Face Mask have become skincare staples, and I am yet to meet an Earthwise Beauty product that hasn’t impressed me with its cleverness. A couple of months ago, the brand sent me a few more of their products to try (Tigress was a more recent gift), and I’ve been loving them all. I’ve been meaning to write about them, but I have been struggling to find the time to work on detailed, essay-length reviews. I guess haikus can be just as effective as epic-length poems – so on that vein, I’m trialling a new, shorter approach to reviews. In fact, I’ve given myself the challenge of reviewing all these products as succinctly as possible in a single sentence. Without further ado, here are my one-liner reviews of some of my recent favourites from Earthwise Beauty. Most of us lead fast-paced lives. I find that the more stressful my life becomes, the more I’m drawn to everyday rituals that force me to slow down and give time back to myself. San Francisco-based luxury skincare label, founded by modern-day alchemist Julie Elliott, takes self-care rituals to new heights by creating seductive products that evoke the opulence of a bygone era. She uses her deep understanding of aromachology and uses natural ‘perfumerie as medicine.’ Intensely perfumed using high-vibrational floral extracts, oils, and essences, her products combine ancient wisdom with modern technology to create thoroughly singular creations that, according to their website, ‘stimulate the senses while offering hydrating and curative effects.’ All housed in beautiful red glass (a nod to the colour of glass originally used by alchemists, who considered the colour of blood to represent life force), these creations make no concessions to the fact that some us may be too time-poor (or just plain tired) to spend half an hour every evening on a skin ritual. I’d been meaning to explore the line for a very long time, but I’d never known where to start! Julie solved this problem for me by surprising me with a very large, beautifully packaged box of treasures containing the entire ‘foundation collection:’ a selection of nine signature In Fiore treatments designed to be used cohesively or layered on top of each other. I’ve been using these products on and off for the last two months, and I’ve been enjoying their unique approach to skincare. Before I go into the reviews, I’ll briefly go through the order in which you’re meant to layer these products. This layering order, they claim, will maximise the potency of their products and yield the most visible results (while also reducing congestion). The order is: 1) Oil, 2) Toner, 3) Serum, 4) Cream, and 5) Balm. Balancing Clay Cleanser with Lime (A$80.70): This cleanser is amazing, and I wish I’d purchased a full-sized bottle of this cleanser instead of the shaving emulsion. Its texture is really unique in that it’s a cream clay cleanser that doesn’t feel gritty or stripping. I like massaging it on damp skin and taking it off with a hot muslin cloth. It leaves my skin soft and glowing. It smells very spa-like (the lime scent is very mild), and I wouldn’t be surprised if this is one of their bestsellers. Highly recommend. 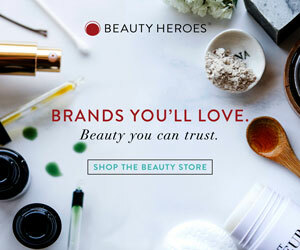 I’ve been hearing about Beauty Heroes since I started my blog, and many of my friends have been long-term subscribers. The original green beauty box that started it all, the US$39 (approx. )/month subscription service introduces its subscribers to a new green beauty brand every month. These boxes normally contain one Hero Product (usually the star product from that month’s brand) and one or two sidekicks. This month’s hero brand is Maya Chia. The hero product this month is The Super Couple Astaxanthin + Chia Ultra Luxe Face Oil, and the sidekick is their Supercritical Chia Waterless Wonder Balm (these have got to be some of the longest names I’ve ever had to type out!). Metta is a natural skincare company based in Melbourne, Australia (they are, in fact, made next door to my work). The line is named after an ancient style of meditation that encourages loving kindness with yourself and the world around you. Skincare junkie trying to go green. Online shopping addict. Semi-paleo. Fashion enthusiast. Short fiction dabbler.